We’ve celebrated Earth Day for 46 years to inspire ourselves, challenge old ideas and motivate people to take care of their planet. Sometimes it works. Sometimes no one really listens. 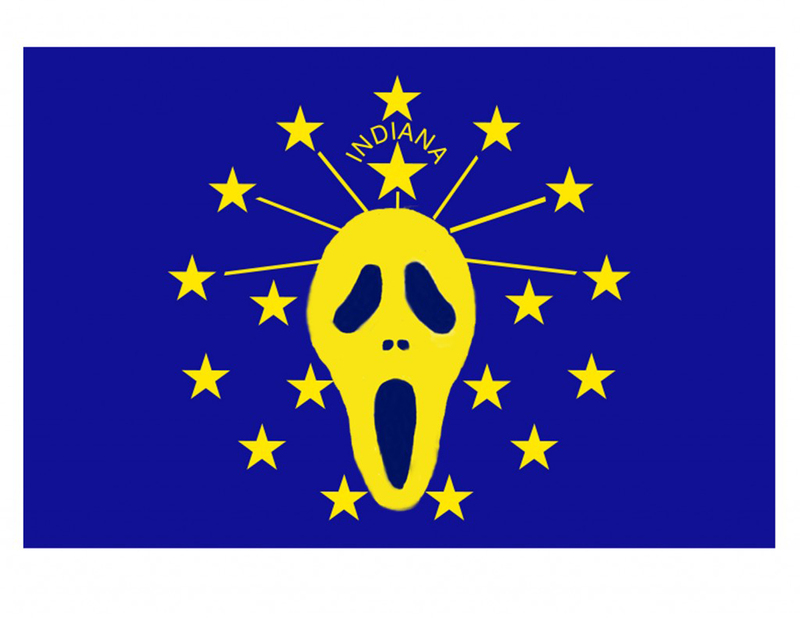 What has Indiana been hearing for 4 ½ decades? At least Indiana wasn’t the least green, most regressive state in America for the April 22 celebration — that’s Wyoming — but statistical assessments of Indiana’s environment add a dour tone to the party. In the spectrum of greenness, Indiana is a dull brown. Dozens of such assessments cross my electronic threshold every month, and it’s a useful to measure your state. Being intelligent about the world’s fitness gives you choices, though facts don’t always make you happier. Perhaps one of the studies will brighten my day, so I can brighten yours. The Indiana where I was a child and grew to manhood is firmly affixed in my memory. Unfortunately the state that looks back at me in the mirror every morning is not that state. Maybe what I believed to be true 40 years ago was never true. Indiana is polluted and indifferent to the environment now, and maybe it was then, too. The evidence of eco-denial is depressingly consistent. In fact, these dire surveys produced predictable howls of dismay from Hoosiers who do not think the statistics are accurate. We recycle trash. We have wind farms. We even make Subarus, for Pete’s sake. How much more “green” do you want? But that’s like denying climate change by pointing to a nearby pile of Hoosier lake-effect snow. If you value truth in numbers, Indiana is not only less “green” than states that make a big deal about that, Indiana also is less green than states just barely above Third World status. Hoosiers are less green than Alabamans and Mississippians. The next time your neighbor smirks at China’s indifference to lung-strangling pollution, remember that Indiana is similarly bad, though on a much smaller scale. Last year, every consumer and environmental agency that compiles the data with differently nuanced methodologies found the same thing. The 2016 report by personal finance website WalletHub ranked Indiana 47th out of 50 states in Eco-Friendliness, and 43rd in Environmental Quality. It’s been the same for 10 years. That report compared each state by 14 key metrics that speak to the health of the current environment as well as the environmental impact of people’s daily habits. Indiana scored below average in every category, including air quality (48th), water quality (30th), number of green buildings per capita, (31st) and gasoline consumption per capita (28th). The Indiana Business Research Center at IU’s Kelley School of Business studies green industry in Indiana and says the state has 47,000 “green” jobs. Sounds good. But Kelley researchers admit they don’t how many such jobs exist or what defines green. Some industries self-identify themselves as “green” without much evidence. You can’t measure what you can’t count. Perhaps you might think “green” is 20 entrepreneurial college kids who invent a radical solar power array that produces electricity cheaper than coal-powered plants. They could make millions of dollars and save the planet. Of Kelley’s green careers, most are variations of air-conditioning installers, farm produce handlers and separators and support administrators. Of those involved in producing renewable energy, Indiana has only about 4,000. If you’re a street paver who applies slightly less noxious tar mixtures to the road, Indiana labels you a “green” worker. Mostly, Indiana is not a green state because Indiana’s government cares more about other goals. Protecting coal jobs, for example. Jobs in any culture define the culture. This trade of values is the eternal Indiana struggle. Some states find a more sustainable balance. Others — like Indiana — don’t. When Indiana disenfranchised its Department of Environmental Management and Department of Natural Resources by slashing their budgets, that sent an unmistakable signal. If you lived in one of the three “greenest” states — Vermont, Washington or Massachusetts — conservation and eco-values would be as important as jobs. Your state government would talk incessantly and passionately about its quality of life goals and environmental achievements. In fact, a state’s passion for more modern jobs would be all-consuming. “Green” industry and invention are signals that states care about their planet. Did that ever sound like Indiana? Did we ever really care? I asked the mirror. It said no. This entry was posted in Uncategorized and tagged Coal, contamination, environment, IDEM, IDNR, ill health, Indiana, pollution. Bookmark the permalink.